Sometimes it may be hard to find something to do in the winter time. You and your family can enjoy a winter day trip in Missouri with all the fun activities we have to offer. Browse through our guide and find some great wintter day trip ideas to choose from. Fantastic day trip especially in winter time! 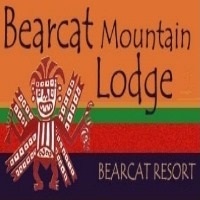 Bearcat Mountain Lodge is the perfect place for winter romantic getaways or family bonding. Enjoy their 1/2 mile beachfront on the Black River anytime of the year especially winter. Take a day with the exciting experience of a Black River float trip in canoes or rafts on their amazing delightful spring river. The beautiful river is reason enough to visit but there's so much more to discover. There are recreational, entertainment and antiques and specialty shopping opportunities that everyone will surely enjoy. Explore the historical town and villages. For decades this place has been dedicated to provide camping, floating and concerts to thousands of people wishing to explore the beautiful Ozarks and to experience a slice of heaven on the Black River. They are hoping that you will visit them soon and experience everything it has to offer! Winter means spending good quality time! Roaring River State Park is the favorite pastime with a 3,403-acre park. The stream is filled with rainbow trout for the winter catch and release season. It includes meeting rooms, guest rooms, full service room, bar and gift shop. The park also offers 26 rustic cabins, a park store containing snacks and sandwiches, gift shop, fish equipment and a public swimming pool. They are offering three meeting rooms that total over 2,670 sq ft and exclusive full service catering that can accommodate up to 135 people. Their staff is professional and generous. Their unique location brings great advantages for the vacationer or business trip. Their beautiful facilities will make everyone experience so much fun during winter time. Place where memories become traditions! Big Cedar Lodge is the perfect place to sip hot chocolate and enjoy the winter landscape from the other side of a picture window. It's a remote haven of natural beauty and contemporary luxury in the beautiful Ozark Mountain of MO. It is a historical area that has provided shelter to native Indian tribes, solace to wealthy business tycoons and today pleasure for outdoor adventure seekers. 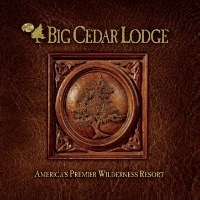 Embrace the rustic elegant cabins and the warm trees surrounding the area. It brings the ultimate privacy and comfort while the grand lodge high atop hillsides offers magnificent views of beautiful Table Rock Lake below. Visit this place where your family and friends find tranquility and a little piece of heaven on earth. 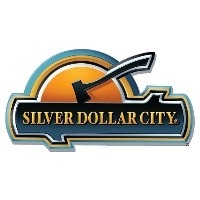 Silver Dollar City offers over 30 fun rides and attractions for children of all ages, like riding the rails of the Frisco Silver Dollar Line Steam Train launching 53 mph in 2.8 seconds or exploring the grounds of the Grand Exposition. It's a favorite place to play and have fun especially in the winter time. Don't miss the chance to experience the most exciting place in town. They opened the world's most daring wood coaster, with the steepest drop and three twists upside down, float trip with soaking five story splash down at 35 mph, spinning disk taking 50 ft. in the air, elephant march ride ideal for kids and family fun. The indoor roller coaster is the family favorite, offering high speed drops and thrilling rides. The largest tree house at Geyser Gulch is a giant playground for kids with single entry/ exit points for parents' comfort and security. A warm winter day can be special! 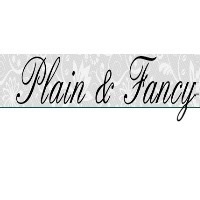 Plain & Fancy is a romantic and relaxing place in the heart of MO's beautiful Arcadia Valley. Stay at their very comfortable rooms and have breakfast in the Ozarks and enjoy their outdoor activities with friends and family. Everyone is welcome to experience the relaxation where you will be pampered in style. 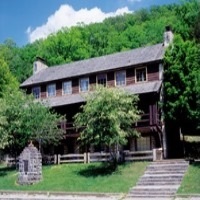 They provide luxurious lodging and an outdoor hot tub overlooking scenery of peaceful Stout's Creek. Enjoy their oversized jacuzzi tubs, spa showers and beautiful romantic garden with gazebo. There is a private swimming pool that is suited to families, with decking and a patio with fire pit for those cool evenings especially in winter. Lay back and enjoy the best place ever. The area attractions and recreational opportunities in town are endless. Amazing place to warm up! Butterfly House features their butterfly movie showing continuously throughout the day, several outdoor butterfly gardens and many live invertebrates on display in their exhibit hall. They import different kinds of butterflies in their Tropical Conservatory. 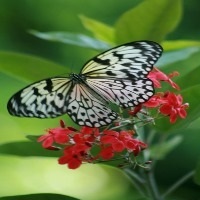 Over 60 butterfly species are flying amidst over 150 tropical plants, there is a lot of fun to experience. Many volunteer opportunities are available to share your love of gardening and butterflies by working in guest services, horticulture, educations or the gift shop. Community service also is highly appreciated for students as well. Come and enjoy making friends among volunteers and guests and witness their faces as they enter the Tropical Conservatory. The place has all sorts of ways to take advantage and ignore the weather! 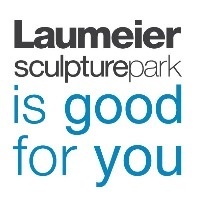 Laumeier Sculpture Park is the largest dedicated sculpture garden in St. Louis MO. It is a living laboratory where artists and audiences explore the relationship between contemporary art and the natural environment. More than 60 works of large scale outdoor sculptures are showcased in the 105 acre park that are available to the public year round. There's no admission charge to the park or museum galleries with the exception of special events. It is open daily Wednesday-Friday 10am-5pm, Saturday-Sunday 12pm-5pm and closed Monday. Old Cathedral of St. Louis 1834 stands at the edge of the Gateway Arch grounds on the town and was founded in 1764 by French fur traders. St. Louis took its name from the king Louis IX of France. There are mosaics memorializing the Crusaders Kings of life in the Cathedral Basilica of Saint Louis. Union Station, which was designed to look like a French fortress, also gives visitors an architectural display of the city's French heritage. 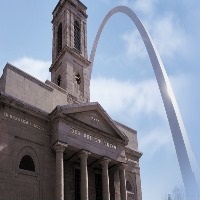 Since its inception in 1770 the old Cathedral had played an important role in the lives of people especially people in St. Louis. For its parishioners and thousands who visit each year, it serves as a special place for spiritual nourishment, comfort, learning and civic life. Inspire, educate and discover the human spirits! 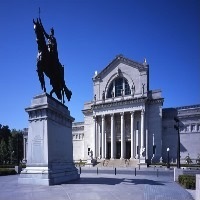 St. Louis Art Museum was built as the Fine Arts Palace of the 1904 World Fair and one of the nation's leading comprehensive art museum. Highlights include free admission to special exhibitions on Friday and some programs that range from film to live performances. They're open Tues-Sunday 10am-5pm, Friday 10am- 9am, Monday-closed. The art museum presents, collects, interprets and conserves works of art of the highest quality across time and cultures. They also preserve a legacy of artistic achievements for the people of St. Louis and throughout the state of MO and the world. If you're planning on visiting with a group or school tour you need to call their office for scheduling the trip so that they can best prepare for your group tour. Come and leave with the car of your dreams! 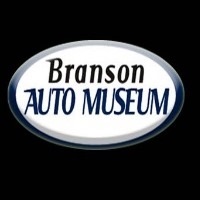 Branson Auto Museum is a 60,000 sq. ft museum featuring classics, muscles, customs, trucks, movie/celebrity cars, street rods, and an automotive memorable gift shop. Their museum cars and inventory change regularly and most of their cars are for sale. It was conceived in August 2007 and finally opened on May 5, 2009. With some company partners in the museum, they knew that the Branson area was hungry for car and automotive skills. The place is perfectly fit for what they were planning. The building is layered out in sections that wander through the building and it's an ideal setting for a museum. The charm and the character of the building catches the attention of some people and itself as a nice car museum.